A frame house with your own hands can be built very quickly in time, while financial costs will be insignificant. 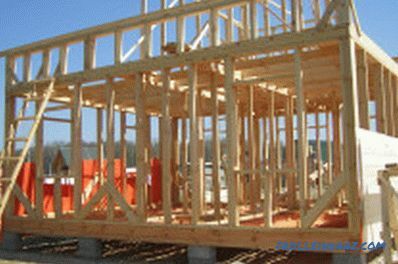 The cost of building a frame house is relatively low compared to other buildings. There are 2 frame building technologies: Canadian and Finnish. Both are applicable for construction. Finnish frame house with your own hands can be built during the summer, while several people are able to cope with this technology. Design is the most important step. This has the advantage of building a house with your own hands. Indeed, at this stage, having listened to all the wishes of family members, it is possible to rationally plan the space of the frame house. When designing, it is necessary to take into account the conditions of the climate, the terrain, the type of soil, the number of floors of the future frame house. "Pie" walls of the frame house. 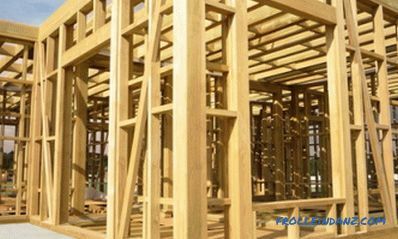 The analysis will allow you to choose the right wood for the frame, the type of foundation, materials for the roof, the type of insulation. A rational project will save money on the purchase of materials, as well as to avoid blunders already in the process of building a frame house. When calculating the size of the frame house blocks, one should proceed from the size of the materials to be used. So, if a board with a thickness of 50 mm and a length of 6 m is chosen for the construction of the block frame, then it is more sensible to make a ceiling height of 3 m. If the plywood sheet is 1220 mm wide, then the block width will be the same size. That is, the standard block for a frame house will be a multiple of this size, and non-standard blocks (with window, door openings, corner) should be calculated separately. The Finnish frame house itself is a fairly light construction, so a strong foundation is not required for its construction. However, if the house involves a building with 2 full floors, the foundation must withstand the maximum load. From the strength, strength and reliability of the foundation depends not only the geometry of the frame house, its service life, but by and large and the safety of living people. 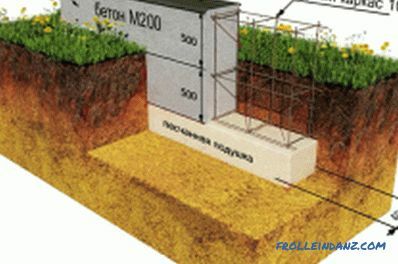 For the construction of the foundation of the house with your own hands, you can use bored piles, columns of asbestos cement filled with concrete and a strip foundation that is not deeply recessed. concrete mixer or container for manually mixing concrete components. Foundation marking is done with pegs and a rope. Mark the future house on the ground. With the help of stakes and cord on the ground the contour is indicated according to the design. Then they dig a trench 30 cm wide and no more than 50 cm deep along the entire perimeter of the intended contour. Next, a formwork is installed, the height of which is no more than 40 cm above the ground level. At the same time, low-quality boards are more often used for it, which leads to the outflow of mortar through the gaps and waste of materials. Therefore, it is more rational for formwork to buy boards, which at the junction leave minimal gaps, and then use them again for household needs. In order to remove the gaps between the boards, they can be additionally fastened together with screw pins. After the formwork is complete, it is necessary to put the reinforcement in it. The armature can be tied together with wire or plastic ties. 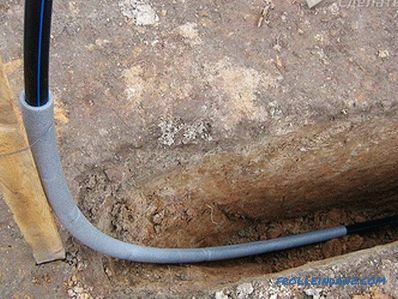 In addition, a pipe is laid across the foundation in several places, the length of which corresponds to the width of the foundation. The presence of this pipe will create a ventilation gap for the floor. Next, knead the solution and pour the foundation, lightly ramming concrete in order to achieve complete filling and to prevent the formation of voids. 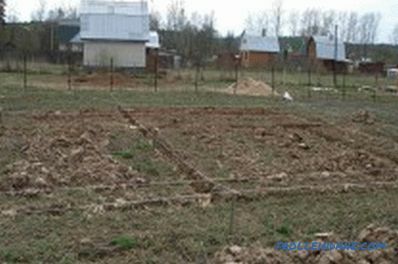 After the foundation hardens, you can start building a frame house. After hardening, a layer of waterproofing is laid on the foundation. It can serve several layers of roofing material. At the same time, ruberoid dangling from the foundation is allowed. Next is the bottom strapping. 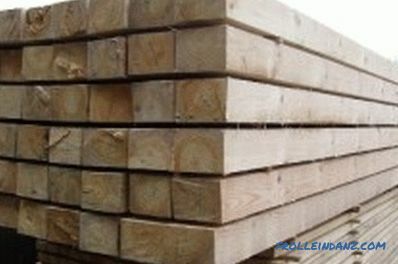 For the bottom trim of a house, you need to take a bar of 200x150 mm. A bar, pre-treated with a special antiseptic composition, is placed on top of the waterproofing layer. For the corners, the method of connecting the groove into the groove and the additional fixation with screws are used.Middle bars strapping also fit into the grooves and secured with screws. The distance between the middle strapping bars should be a multiple of the size of the OSB sheet or plywood used for the subfloor. The bottom piping is level, and the horizontal must be strictly followed. Next, the draft floor is mounted. To do this, on the bottom trim lay floor logs. The width between the lags should correspond to the width of the insulation mats, but it should take into account the possible presence of partitions, heavy structures (stove, fireplace) in the future house. Everything should be checked with the project. Lags fit into the grooves of the strapping and carefully fixed. Next, between the lags of the floor is nailed board thickness of 20 mm, cut to size. Thin sheets of OSB or plywood are placed on it. Next on these sheets between the bars lay insulation. 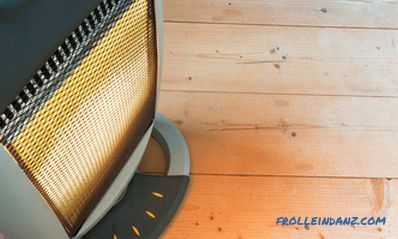 As a heater, you can use mineral wool, which is sold in rolls or sheets. If it is decided to use mineral mats, they should be overlapped. If you lay the mineral mats overlap, it will increase the insulating properties of the floor. This method of laying will increase the heat-insulating properties of the floor. After that, the entire surface is covered with a vapor barrier film. Moreover, this film should cover and insulation, and logs. It also overlaps, and the joints between the strips are taped. It is fixed with a construction stapler or with staples and nails with a wide head. After that, a 40x10 board is laid on the logs for the entire length of the lag to create a ventilation gap. This gap will allow to save floors from rotting longer. After that, OSB sheets or thick sheets of plywood are laid, which will be the basis of the finished floor. Final flooring is done after construction is completed. Lags, like the lower strapping bars, should be impregnated with an antiseptic composition. When the floor is ready, you can form the frame of the house. To assemble the blocks, it is necessary to choose the most even horizontal surface to avoid distortions. For frame racks, board size 145x45 mm is used. The thorn-groove system is considered to be the most reliable fastening. Screws, nails, metal toothed plates will give greater rigidity. After one of the walls is fully assembled, it must be raised and installed. When building with your own hands and the inability to use a machine crane, the wall is lifted with the help of winches, automobile cables. The lower bases of the racks are fixed in grooves, pre-cut in the bottom trim of the house. While the frame does not have the necessary rigidity, therefore, stops are organized, which can be wooden beams, with one end resting against the ground and the other into the frame. 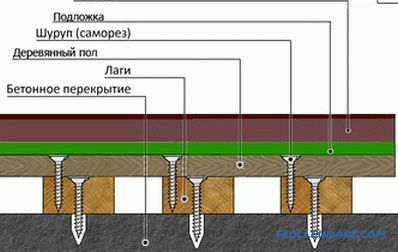 In addition, the use of small bars, metal studs will provide additional strength of the structure. Similarly, the installation of all other walls of the frame house. After the first floor is assembled, proceed to the construction of floors. After the first floor has been assembled, the construction of the floors is started. For this, beams are taken as floors with a section of 245x50 mm. The distance between them is no more than 350 mm. This step will ensure the reliability of the flooring of the second floor or attic. The lower part of the beams is sewn with plywood sheets or OSB sheets 18 mm thick. This will be the ceiling for the first floor and the draft floor for the attic. If the project provides for the installation of the second floor, then its assembly is no different from the assembly of the first. The only thing that for transportation of the frame on the ceiling can be put the boards on the ground and the ceiling and along these guides with the help of a car cable lift the frame assembled at the bottom. As a rafter, you can use a bar with a section of 150x50 mm. Rafters are attached to the beam system in increments of no more than 400 mm. The rafters are fastened with metal brackets, and short stubs give greater rigidity. The upper part of the rafters sheathed crate. For her, the remaining boards will fit after dismantling the foundation formwork, which must be cleaned and treated with an antiseptic composition. The crate may be solid or with a small step between the boards. While the frame is not sheathed with OSB or plywood and not insulated, it’s time to lay utilities. This should be done very carefully and painstakingly, because after fitting the racks it will be very difficult to change something. All conclusions of the sewage system and sockets must be closed with a film in order to avoid the ingress of foreign objects. To protect walls from wind and cold air, external walls should be sheathed with wind-proof plates. After the entire frame of the house has been assembled, it is necessary to proceed to its weatherization.To protect the frame walls from wind, cold air, the outer walls are sheathed with wind-proof plates or wind-proof film. However, the use of plates is preferable, as they are very tight to the racks, do not leave gaps and completely eliminate drafts. Due to their flexibility and porous structure, they are not subject to changes in temperature and humidity. 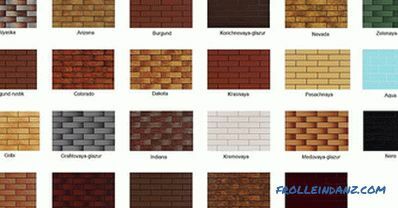 In addition, they are made of environmentally friendly materials and have a thickness of 12 mm. The top of the plates can be covered with a windproof film. On top of the film, on the frame racks, is a wooden lath, to which siding or wooden panels can later be mounted. The resulting ventilation gap between the film and the outer finishing material allows you to extend the service life of siding or wooden slats. Next, you should insulate the frame house from the inside. 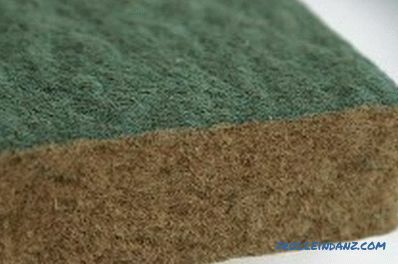 You can use mineral wool in rolls or in the form of mats. However, another option, by the way, is cheaper and more environmentally friendly, would be the use of eco-wool or cellulose insulation. This material has excellent thermal insulation, sound insulation characteristics and airtightness. It can be blown out between the frame posts with a vacuum cleaner and a nozzle that blows air out. 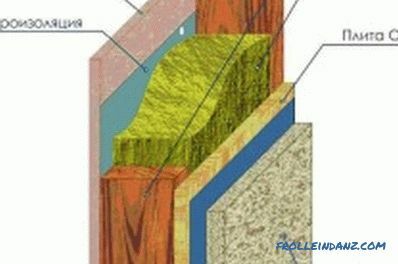 With this method of filling with insulation, the connecting seams and gaps will be completely absent. Insulation is blown between the racks, and the excess is removed with a wide trowel. 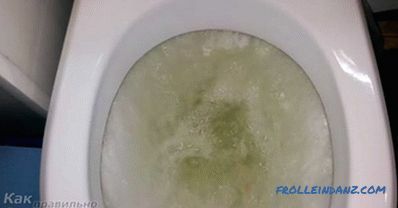 At the same time, sockets and pipes should be more thoroughly cleaned from ecowool. After the excess filling is removed, the entire surface is sutured with special mesh-reinforced paper. This will be an air barrier. Fixing such paper can be done with staples of the construction stapler to the frame posts. 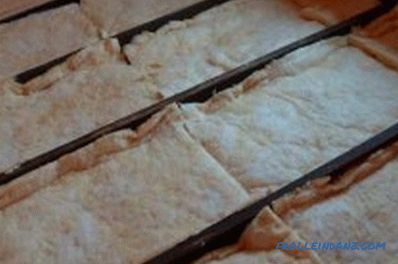 This insulating material and its filling method can be used not only for the walls of the first floor, but also for the whole house, including the roof. After insulation, all walls inside are sheathed with OSB sheets or 20 mm plywood. For the ceiling, use ceiling panels with a thickness of 14 mm. As a roofing material, shingles can be used, which is laid over the layer of roofing material spread on the crate. This layer of roofing material will serve as a waterproofing. For the final interior decoration, you can use wallpaper, paint, decorative plaster. The frame house was built with own hands. Now you can populate.